UK’s national grid operator says it is preparing to deal with 100 per cent renewable electricity generation – by 2025. FF4HF2 Black Law Wind Farm, near Forth, Lanarkshire, Scotland UK. Australia is often thought as a leader in the transition to renewables, but the progress in other countries is usually overlooked. In the UK, the Tory government’s official policy is to phase out coal completely by 2025 and the grid operator says it needs to develop a system in which it doesn’t need coal or gas back-up. “Great Britain needs to decarbonise its energy system to help address the ever-increasing threat of climate change,” National Grid says in a policy statement released late last week. “A key element of this is to move to lower, and even zero, carbon emissions for the electricity system. Over the past decade the electricity system has been reducing its carbon intensity and GB has been leading the way among the major world economies in this regard. “Our ambition is that, by 2025, we will have transformed the operation of the electricity system such that we can operate it safely and securely at zero carbon whenever there is sufficient renewable generation on-line and available to meet the total national load. The document identifies the areas where traditional generation has delivered services such as inertia, frequency control and voltage, which will now have to come from wind and solar, plus various storage technologies and other “demand side” options. This will require a re-design of the markets to better represent the new technologies and the passing of the old ones. It has now set a work plan that sets various deadlines in coming years, and tenders for providers of new technologies. “To manage the GB electricity network with zero carbon energy sources will require a step change in how the system is modelled to identify the current and future needs and will require a whole new suite of products and services to be procured through new markets,” the report says. The speed with which the UK National Grid is embracing this task is in stark contrast to regulatory authorities in Australia, which are still ringing their hands about the current penetration of wind and solar (less than 20 per cent across the country), and fretting about its impact on grid security. The Energy Security Board, as ITK analyst and RenewEconomy contributor David Leitch has written, is looking at a re-write of the rules of the market to reflect modern technologies and the clean energy transition, but this is not due to be complete for another six years. The difference appears to be in the UK’s recognition that the transition is inevitable, and it is best served by accepting that and then working backwards to see what needs to be done to make that transition smooth, and without unnecessary costs to consumers. Australia, despite the work of AEMO’s Integrated System Plan – which reflects various policies of the major parties – is still a long way from doing that. The UK – unlike Australia – has also managed to achieve significant emissions reductions six years in a row, largely as the result of decreased coal use and its replacement by renewables. They have fallen 38 per cent since 1990. It has recently opened the world’s biggest offshore wind farm, there are plans for a 1GW project combining solar and wind storage, and last year went 1,000 hours without any coal use. 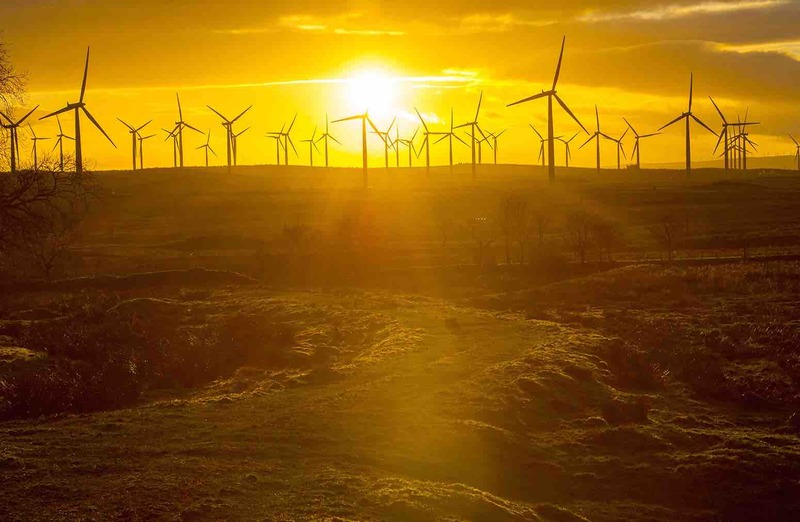 Wind energy, which has accounted for more than one third of the emission reductions in the electricity sector, recently provided 37 per cent of the UK’s energy demand.